Are you about to stand trial for a federal crime such as drug trafficking, or a state crime such as DUI/DWI or domestic violence? Are you facing family legal problems such as divorce or contested child support? Or are you in need of strong personal injury representation after a car accident? 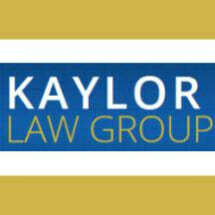 The Kaylor Law Group is a full-service law firm that serves all of central Florida. We offer free consultations, Spanish language translation and one phone number that access all of our law offices. Criminal defense: Our Lakeland and Winter Haven criminal defense attorneys represent clients in misdemeanor and felony cases throughout central Florida. Prior to entering private practice, all three of our lawyers serviced as prosecutors. The insider perspective that they gained as former prosecutors now helps them better represent those accused of criminal acts. We appear regularly in criminal courts in Winter Haven, Lakeland and Bartow. Family law: Our Lakeland and Winter Haven offices serve families facing a variety of legal disputes, including divorce and support/alimony issues. In addition to practicing law, family law attorney Mark McMann is also an active duty military attorney.